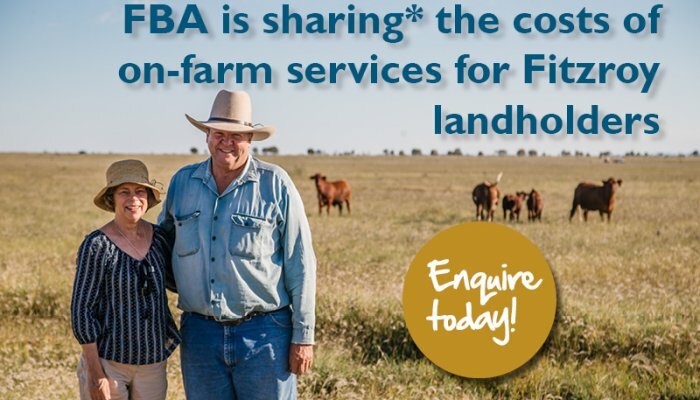 Running through our landscape like veins, our creeks, rivers, underground aquifers and wetlands provide lifeblood for our Region. 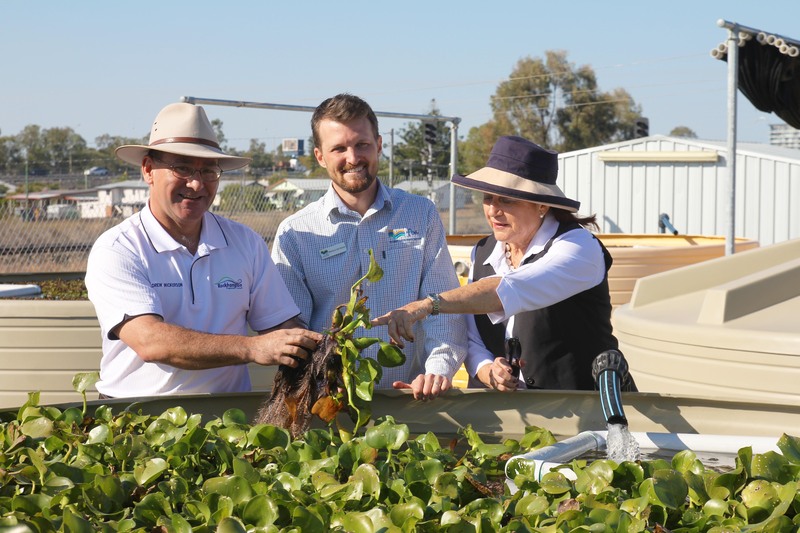 Fresh water is what allows our industries and communities, and our wildlife to thrive. 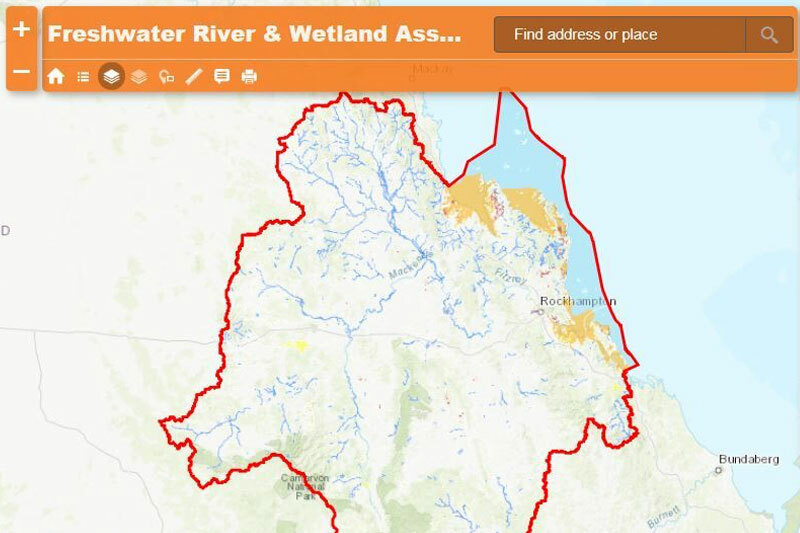 With over 20,000km of waterways including six major river systems that comprise the largest catchment (the Fitzroy Basin) draining into the Great Barrier Reef lagoon. 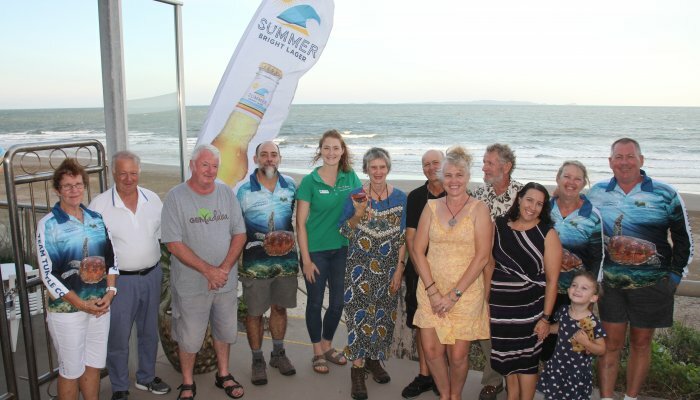 Over 4,800 gigalitres flows from the mouth of the Fitzroy River into the ocean each year – that’s enough water to fill about 444 Olympic sized swimming pools. 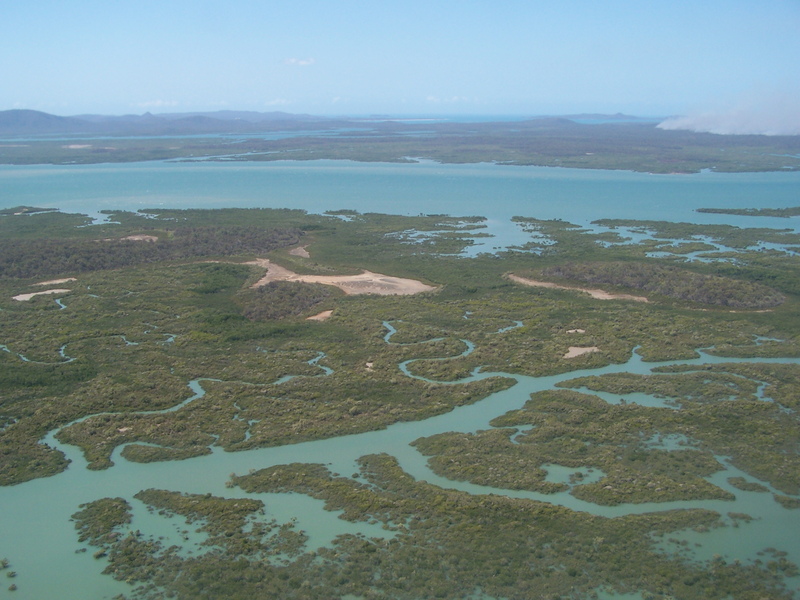 Even more fresh water enters our coastal and marine areas via six coastal catchments. 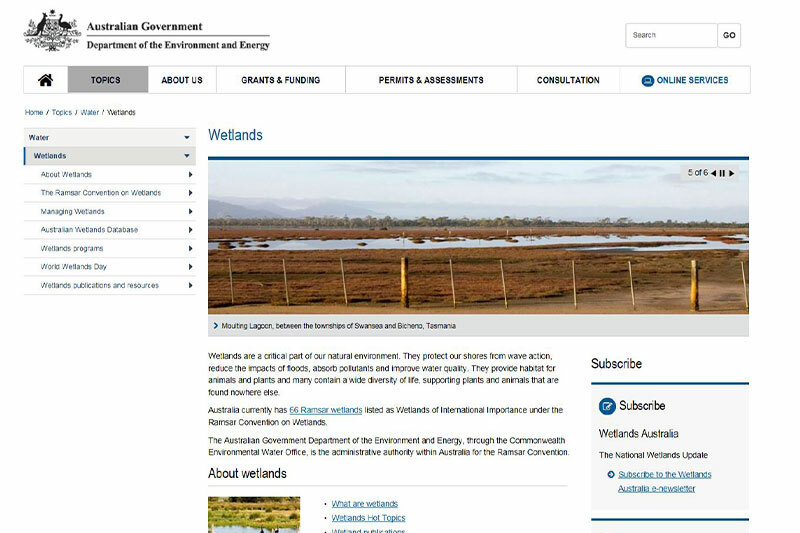 Comprehensive resources to explore and explain Australia’s wetlands. 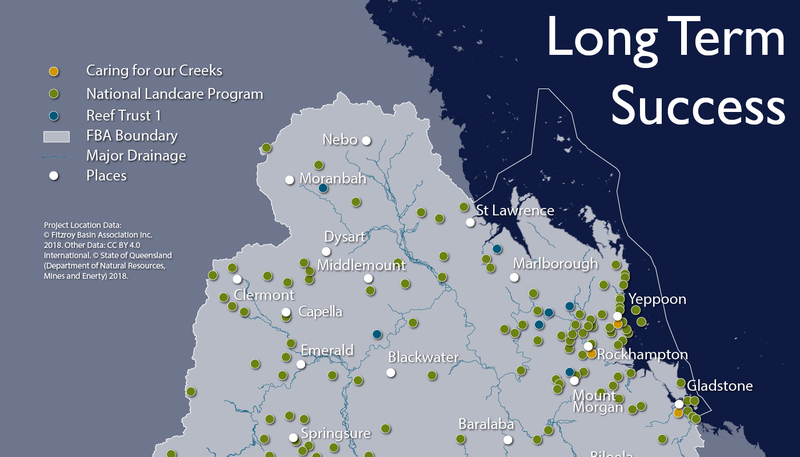 Trends and pressures impacting these areas and their importance in the Fitzroy Region. 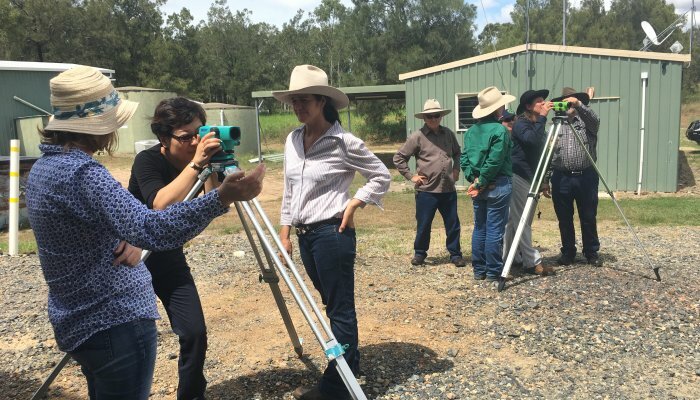 Trends and pressures impacting groundwater, and its importance in the Fitzroy Region. 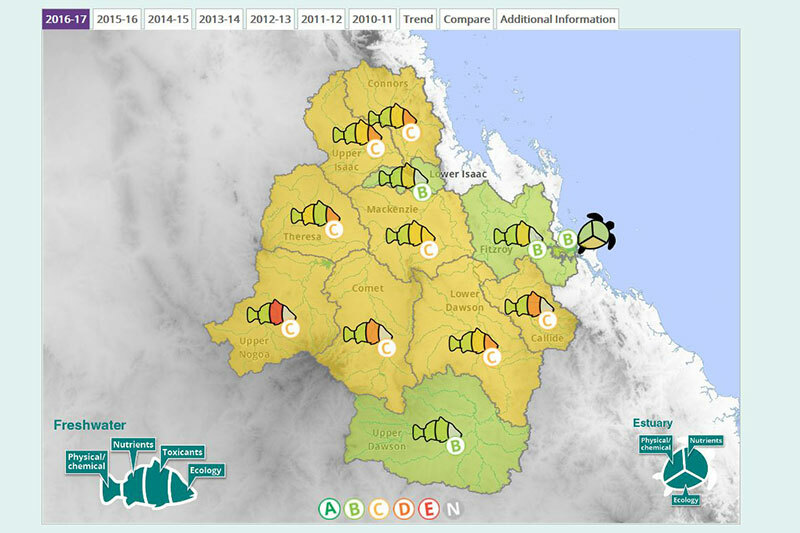 Annual condition reports on the state of waterways in the Fitzroy Basin. 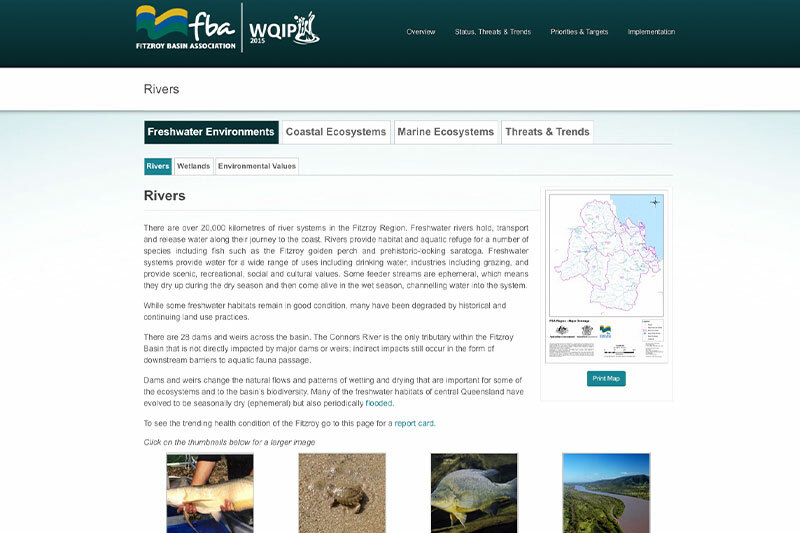 Maps, stats and facts to explore and explain Fitzroy region’s freshwater environments. 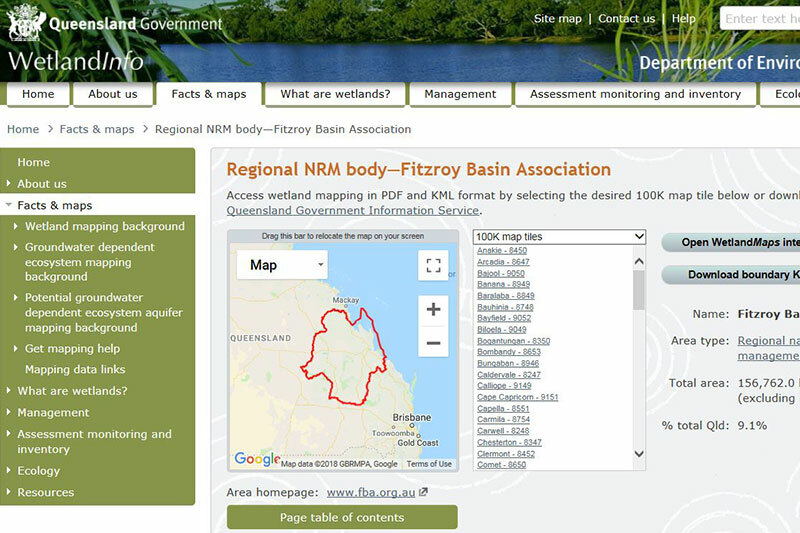 Comprehensive maps, stats, locations and types of wetlands in the Fitzroy region. 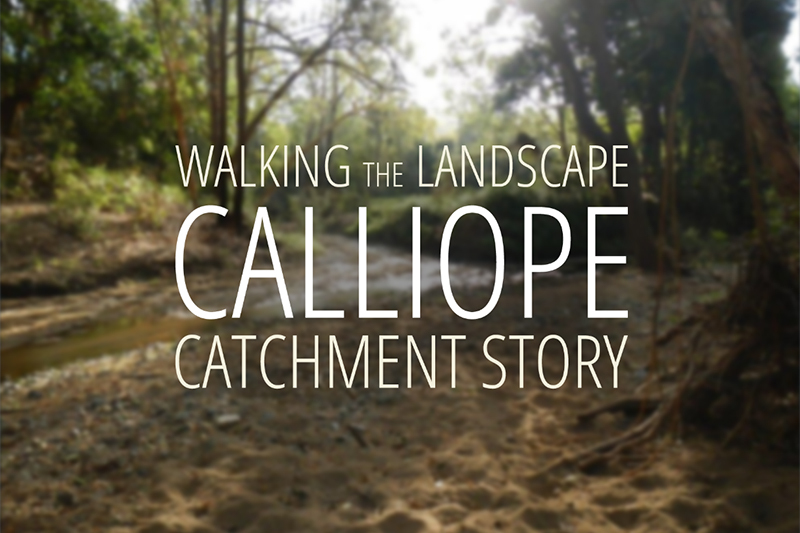 Stories, facts and interactive maps of the Calliope Catchment, including waterways and wetlands. 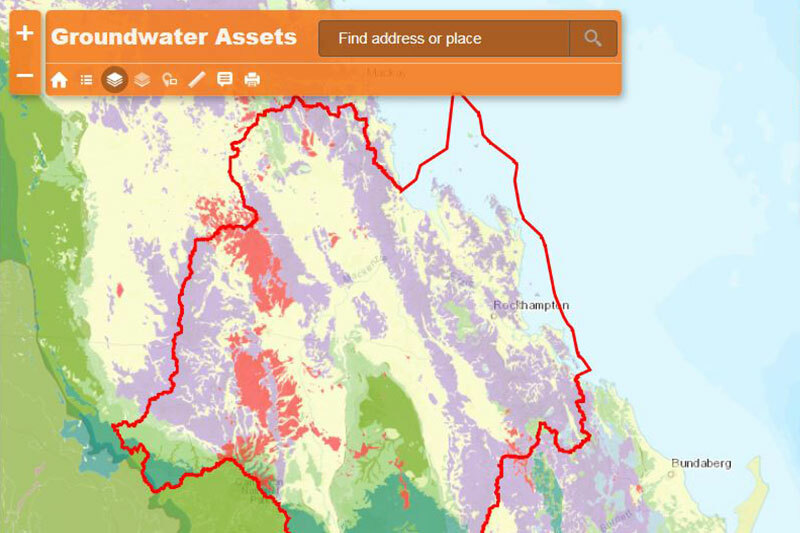 Stories, facts and interactive maps of the Lower Fitzroy Catchment, including waterways and wetlands.